It is often said that reading is a vacation for the mind. 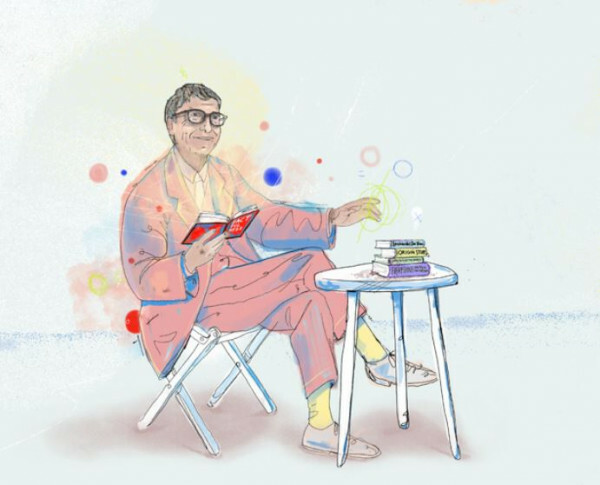 Since summer is here and many of us will be taking our vacations, we thought we would share TAKREEM’s Lifetime achievement recipient Mr. Bill Gates’s summer reading list! "I’ve read some terrific books lately. When I pulled together this list of five that you might enjoy this summer, I realized that several of my choices wrestle with big questions. What makes a genius tick? Why do bad things happen to good people? Where does humanity come from, and where are we headed? Factfulness, by Hans Rosling, with Ola Rosling and Anna Rosling Ronnlund. I’ve been recommending this book since the day it came out. Hans, the brilliant global-health lecturer who died last year, gives you a breakthrough way of understanding basic truths about the world—how life is getting better, and where the world still needs to improve. And he weaves in unforgettable anecdotes from his life. It’s a fitting final word from a brilliant man, and one of the best books I’ve ever read."